Falling Creek Camp, Leadership team with generations of experience. 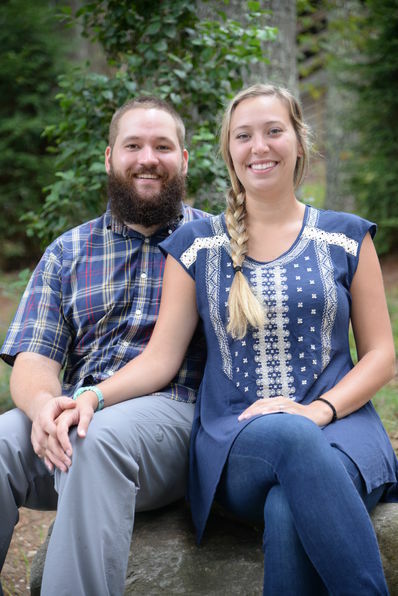 When Yates met Marisa at Appalachian State University (ASU), summer camp was already “in his blood.” For many years, Yates and his brothers attended Falling Creek – Yates for 12 summers as a camper, C.I.T., and staff member. Yates teaches a camper how to roll in the 80's. 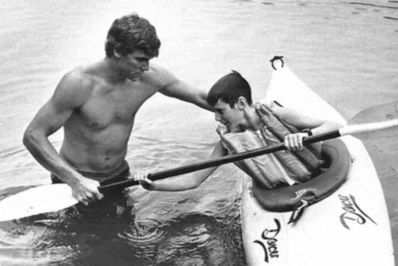 In the summer of 1989, Yates and Marisa both worked at Falling Creek – Yates leading the whitewater program and Marisa as head of the waterfront. After they graduated with degrees in recreation from ASU, Marisa joined the staff of the YMCA, first as aquatic coordinator, and then as a staff trainer. Marisa later served as a Certified Therapeutic Recreation Specialist at the Alexander Children’s Center. Her commitment to the well-being of children and families is exemplified in the volunteer work she does with many community organizations, churches, and schools. The Pharrs are also licensed for foster care. Yates, meanwhile, returned to his hometown of Charlotte, North Carolina, to serve as president of Bissell Development. 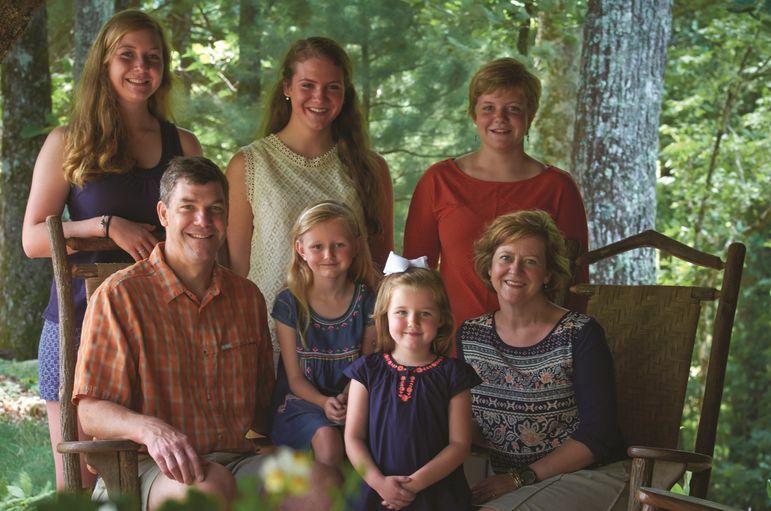 In 1991, Yates and Marisa married and today they have five daughters: Annie, Lucy, Mary, Danielle, and Jasmine. Even as Yates was forging a successful career in the business world, he continued to work with children, serving as assistant scoutmaster for the same troop in which he earned his Eagle Scout. 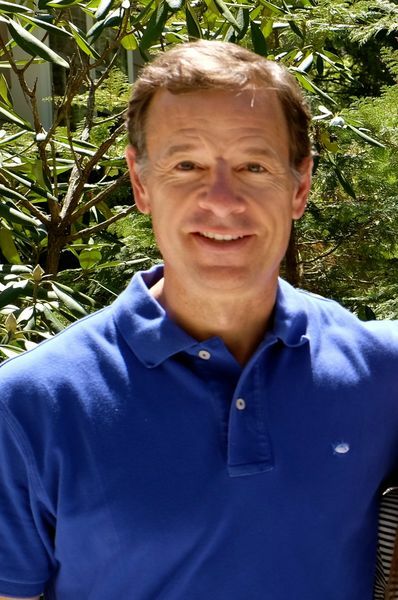 The Pharrs eventually moved to Asheville and Yates became vice president of commercial development for Biltmore Farms, until returning to Falling Creek in 2005. 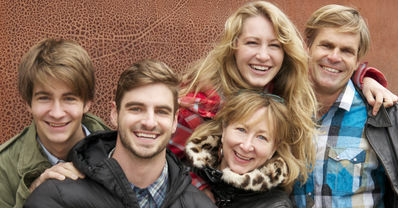 Their family makes its home at camp year-round. When Mary was very young, she thought the boys and college-age counselors who came to camp each summer to eat, sing, play, and worship were family – she was right. Falling Creek is a place where strangers become friends, and friends become brothers. You can learn more about Yates & Marisa in this feature Ballantyne Magazine article (PDF). Originally from Ohio, Ben attended Mount Vernon Nazarene University where he majored in secondary education and history. He joined the Falling Creek summer staff in 1998, and in August of 2006, Ben joined the full-time staff as assistant program director. Today, Ben serves as the outdoor adventure director, coordinating all of the outdoor adventure activities and organizing our amazing the Expeditions trips. Ben is a certified Wilderness First Responder and a Swift Water Rescuer. He serves on the board of the American Camp Association’s Southeast Section and Legislative Committee for the North Carolina Youth Camp Association. Playing no favorites, Ben takes advantage of all the outdoor opportunities offered in the mountains, and he is even a ski instructor at Alta Ski Area in Utah. He and his wife Elliot, a veterinarian, are avid kayakers, rock climbers, backpackers, and bikers. What would you expect from one of the nation’s best outdoor adventure directors? In the off-season, Ben and Elliot reside in Salt Lake City, Utah. Dusty loves Falling Creek Camp. His early days forged much of the direction that has shaped his life – the value of friends, spiritual development, and lots of adventure! His sons have loved Falling Creek, first as campers, then CITs, and staff. Camp has left an indelible mark on their whole family, including his wife, Mary Lou, who also worked here in the early 1980s. Dusty has worked with sports ministry for 25 years on college campuses from Oregon to the University of Alabama, Birmingham. He teaches athletes spiritual values that mold their lives and has led mission trips to 17 countries around the globe. He has been an extreme athlete himself. As a two-time state road cycling and mountain biking champion, he road-raced in Europe as well as in the Olympic Trials, and he rides motorcycles in long off-road races like the 24-hour-enduro challenge. Dusty now pours his love for God and adventure into his own three children as they mountain bike and rock climb throughout the southeast. Frank has been camping since his childhood – first as a camper, then a counselor – and at the age of 23 he bought his own camp. Frank and his wife directed Camp Illahee in Brevard, North Carolina, for 20 years. After passing the torch at Illahee, Frank worked as a consultant with camps around the country. In 2005 Frank joined the Falling Creek team as Associate Director, bringing his extensive knowledge of camping and leadership development. Frank graduated Phi Beta Kappa with a degree in economics from the University of Georgia and is an avid Bulldog fan. 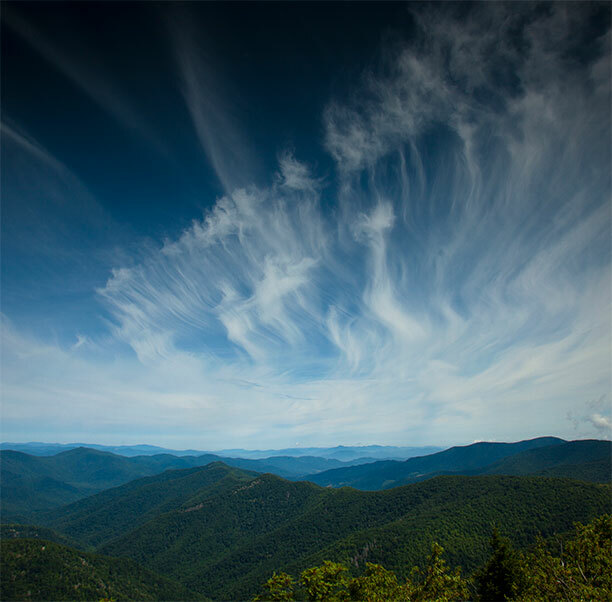 Frank was a camper and counselor at Camp Deerwoode in Brevard, North Carolina, for 10 summers and looks at that experience as truly life changing. Frank is an active member in the community, serving as Chairman of the Young Life Committee and volunteering as a basketball coach. Kyle began working as a cabin counselor at Falling Creek in the summer of 2008. For the next two summers, he worked as a cabin counselor and activity leader for ultimate Frisbee, where he wrote the original Ultimate activity progression. He was also a lifeguard and worked in a number of activities, including fishing, blacksmithing, sailing, and disc golf. Over the course of several summers, Kyle has served as the Cherokee, Catawba, and Tuscarora Tribal Leader. Kyle attended Georgia Southern University and graduated in 2010 with a bachelor’s degree in communication studies. While at Georgia Southern, he began working with at-risk youth. After graduation, Kyle pursued his master’s degree in social work at The University of Tennessee. 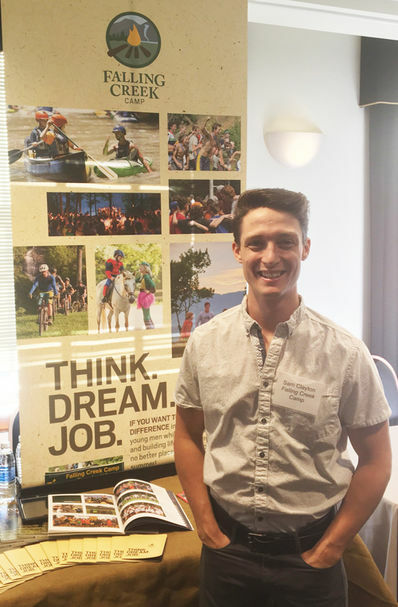 With an emphasis in management and organizational leadership, Kyle’s coursework allowed him to continue working with youth through internships at non-profit agencies in Knoxville. For two years, outside the classroom, Kyle continued his work with at-risk youth as a program supervisor managing 26 employees at a residential treatment facility that served adolescents. In May of 2014, Kyle returned to Falling Creek as a Tribal Leader for the Tuscarora tribe and also received the Green and Gold Award in recognition for staff excellence. In January, Kyle moved to Greenville, South Carolina, to work for Communities-In-Schools, the nation’s largest dropout prevention program. 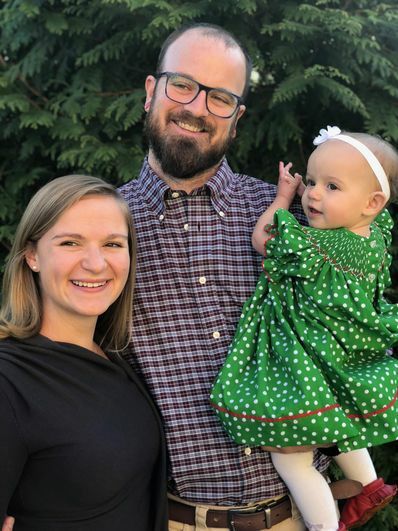 As site-coordinator, Kyle managed six staff members – half of whom were state-certified teachers – in a local elementary school to develop programming. Kyle and his wife Jules live at camp year-round. Jules has worked at camp during the summers and is a school teacher at a local school. She earned her master’s degree at the University of Tennessee. 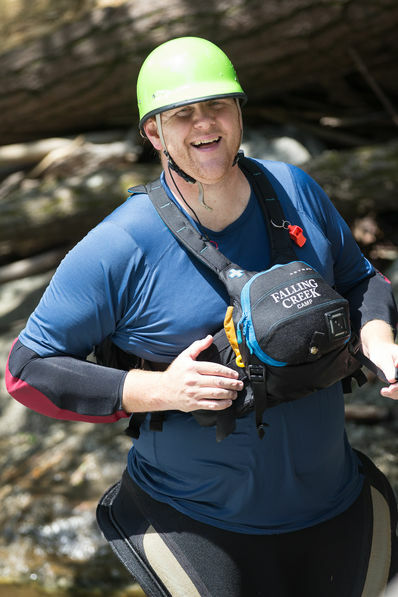 John Bates has been involved with Falling Creek for 19 summers; ten as a camper starting in 1992 and nine as a staff member working primarily as an adventure paddling instructor. He has been a part of many of our Father/Son Weekends and returned in summer of 2017 to manage the woodshop program. We are happy that this fall he joined our full-time staff as a director. John attended the University of the South at Sewanee, TN, graduating in 2006 with a BA in History. From there he went on to pursue graduate studies in Youth Development Leadership at Clemson University. His diverse work history combines experiential education, independent living skills, recreational instruction, leadership development and team-building. Previously John has served as a teacher’s aide at a school in Mobile, AL, for students with intellectual disabilities, worked in a residential transitions program in Hendersonville, NC, and served as program director and staff trainer at a nearby special needs program. 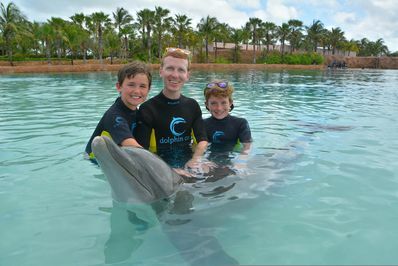 John is certified as a lifeguard, lifeguard instructor, Wilderness First Responder, and First-Aid/CPR instructor. In his free time John and his wife, Alexandria, enjoy hiking, gardening and spending time with their daughter, Hala Ann. Nathan graduated from Texas Christian University with a degree in international communication. He studied Spanish in Guanajuato, Mexico, for a semester, and has traveled to many countries for missions, education, and leisure. After college he worked for the Fort Worth Star-Telegram newspaper and then the Fort Worth School District. Nathan is also the most technically-savvy guy we know. If he is not at a computer or behind the wheel of a sports car, you can find him on the sidelines of a football field or basketball court cheering for his two sons, Brent and Isaac. Paige knows firsthand the benefits of a camp experience. 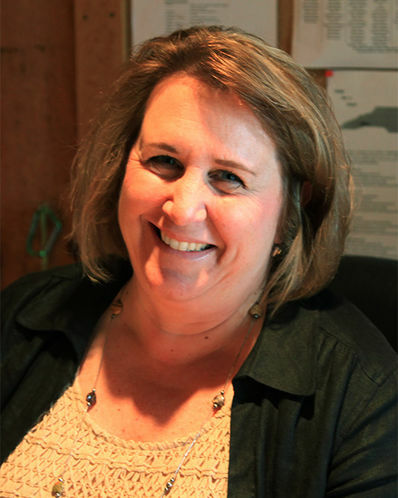 Prior to joining Falling Creek in 2012, she served as the executive director of a non-profit, working with community partners, schools, and area camps to provide youth development through camp experiences. Paige’s professional history also includes a vast amount of logistical, computer, personnel, and organizational experience, where she held leadership, marketing, and development positions in the telecommunications, real estate, and non-profit fields. Paige lives in nearby Flat Rock and has two daughters who are veteran campers. Alison is a student at UNC Chapel Hill, and Sydney is a high school student at the North Carolina School of Science and Mathematics. Paige is one of the people with whom you likely will speak if you call the camp office, and she is the primary communicator with our camp families throughout the year. Paige looks forward to summertime when camp is in full swing! Sam joined the team in the spring of 2017 after working at Falling Creek Camp as a climbing instructor in 2016. He is from Lafayette, GA, and is a graduate of Young Harris College where he obtained a degree in Outdoor Leadership. Though camp was not a part of his summers growing up, he is impressed with the opportunities camp affords young men and is excited to be a part of that at the professional level. Sam helps manage the in-camp experience and day-to-day activities and assists in the recruitment and training of the summer staff. He has an affinity for networking and is leading the charge to plan and manage our 50th Anniversary Alumni Weekend and the creation of our alumni association. Sam is an avid climber and slackliner in his free time. He loves to travel the world and is a big Falling Creek Camp supporter! 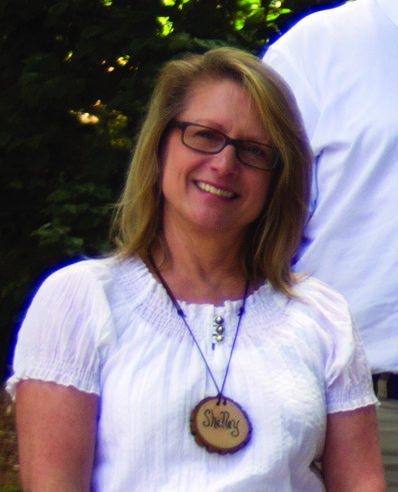 Shelley joined the Falling Creek year-round staff in the spring of 2016 after working with us part-time for two years. In addition to her experience as a parent, a caregiver, working with children in a variety of school environments, and managing a small business – Shelley brings an effusive personality, tremendous organizational skills, and a strong analytical background to the group. While Shelley performs many roles at camp, she is primarily responsible for supporting the staff hiring process, answering camp family questions, and helping keep camp organized. Shelley relocated to our area from Wilmington, Delaware, in 2014, and has recently been joined here by her daughter and son-in-law, Morgan and Brian Gaerke. Shelley loves the mountains and hikes as much as she can. She is often found walking in the Flat Rock area with her sweet pug, Felix. Simon Wilson, Drew Boggan, and Jerry Metcalf. 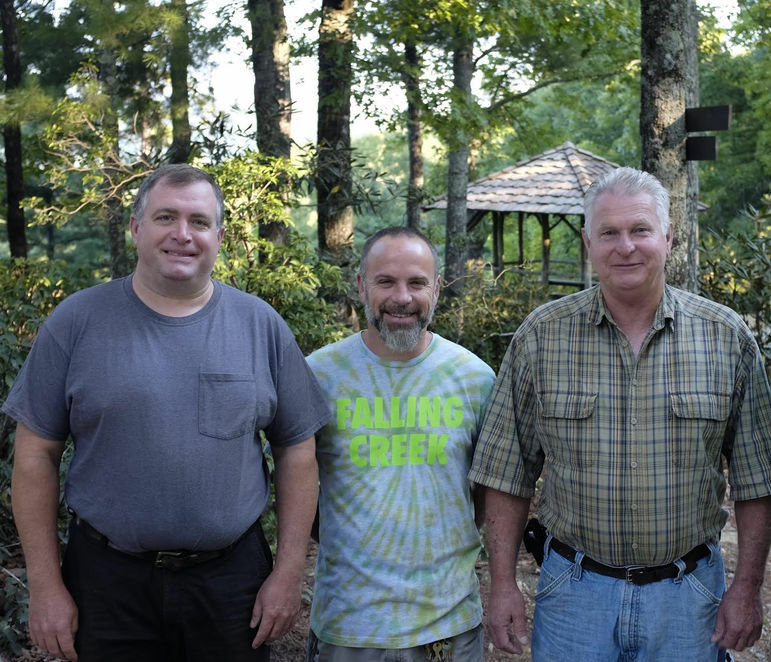 With over 75 years of combined Falling Creek experience, Simon, Drew, and Jerry are critical members of the Falling Creek team. From carpentry to plumbing, electrical to landscaping, they do it all. Each is also knowledgeable in key activities: Simon – horseback and blacksmithing; Drew – soccer and Indian Lore; and Jerry – woodworking and nature. Their experience adds to the continuity and excellence of the programs.